MediaInfo is an Open Source Tool that can be used to display tag and other techinical information about any select audio or video file. 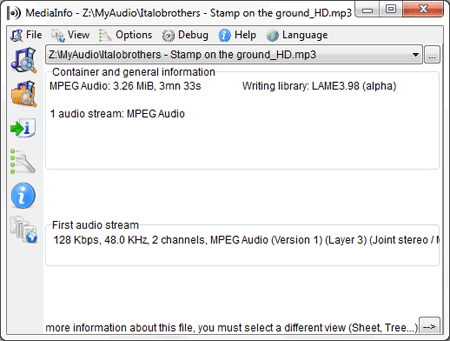 MediaInfo can also be used to locate missing codecs or find a player for the select audio/video file. Retrieved media information can also be displayed and even exported many different ways.